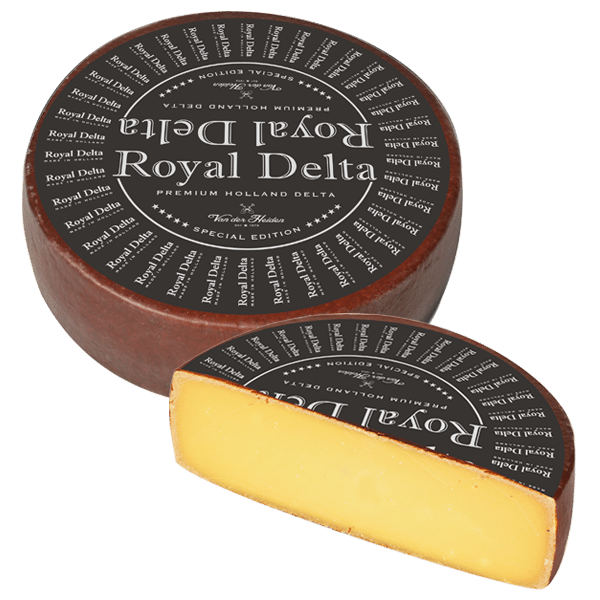 The Royal Delta is a little bit fatter cheese (52%) with its own recipes, giving it a unique taste. This special and great looking cheese is matured at high temperatures of 16 °C with high humidity. This creates a creamy cheese with a beautiful sweet taste. 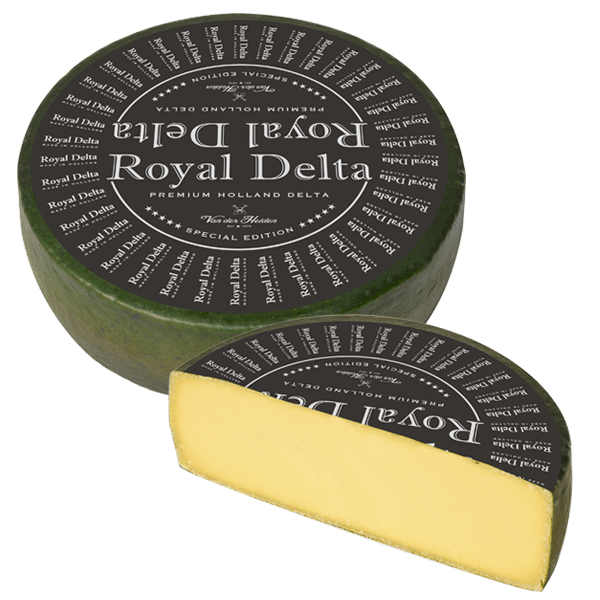 There is a variety in flavours, such as the Royal Delta Green with a taste of clover honey, the Royal Delta Brown, who is half matured with a sweet taste, and the extra matured Royal Delta Black. 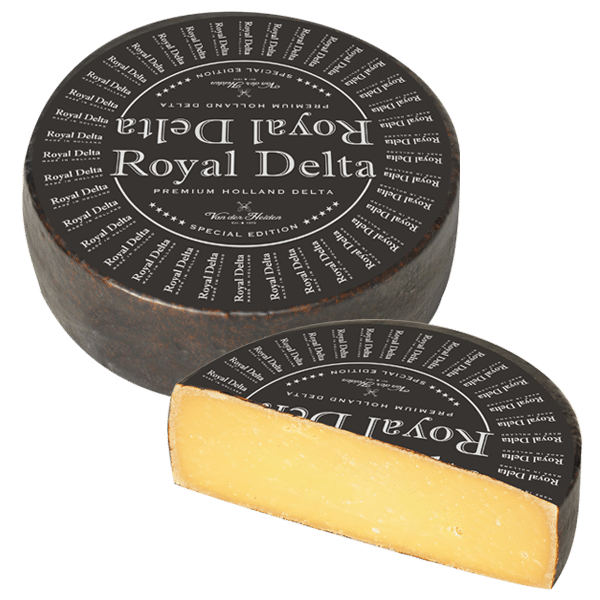 Royal Delta Black – 52% f.i.d.m. Royal Delta Green – 52% f.i.d.m. 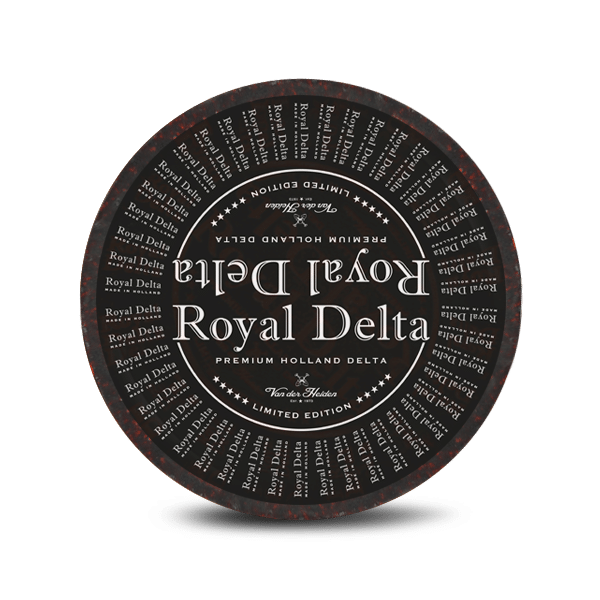 Royal Delta Brown – 52% f.i.d.m.